Hello, this is Richard Schwary, President of California Numismatic Investments. I have added this brief video produced by The Professional Coin Grading Service because it shows why PCGS is the finest grading service available today. I have guest graded for PCGS and seen this process from beginning to end. It is first rate in every respect and I would encourage you to contact me with your questions. PCGS, which started in 1985, has certified millions of coins in its history – making it the largest third party grading and authentication service in the world. In this brief video, we are going to show you how coins are graded. We hope this overview will help answer your questions about the processing of your coins and provide insight into what PCGS is all about. Once your package arrives at PCGS corporate headquarters your package is itemized, logged into the system and separated based on the service level marked on the outside of the package. Once the packages have been separated, each package is opened by priority of service and the coins are counted. The receiving step is one of the most crucial steps in the process. After verifying the service level and payment, the identifying information is removed from the order and the submission is assigned a generic order number. Finally, all pertinent data is entered from the PCGS submission form, an e-mail confirmation is sent out to the customer, and the coins are off to the next stage. The next step in the process is called the Sticker Stage. At this stage, the coins are counted again and labels are placed on the outside of each coin flip. The label or sticker assigned to each coin contains information including the order number and individual certification number – that is the same certification number that will appear on the PCGS label once the coin is graded. In addition, the information on each coin is stored and tracked in the PCGS database as it travels through the processes. The coins are now ready for grading. Each order is distributed to graders based on their particular skill and expertise. While the graders are generally trained to handle coins from virtually all eras, they are assigned coins based on their strengths. The sheer number of graders assigned to each coin can also vary depending on the type of coin submitted. In all cases, at minimum, 3-4 graders are assigned to every coin for grading and verification. As each grader receives the order, they will enter the order number into the computer. This provides the contents of that order on the PCGS grading screen. Grader #1 will then enter his grade for the coin in question (and for each coin within the order until the order is completed) and close the order on his screen. Once Grader #1 has completed grading the order, the order is redistributed for Grader #2 to provide their grade and so forth. Each grader is not privy to the opinion of the other graders on any of the coins within that order. If their grades match in the computer, the coin would then go to a 3rd grader at the Grading Verification Stage. If the opinion of the first two graders does not match, that coin will be assigned to a 3rd grader whose opinion is required to “break the tie.” As a PCGS standard, the coin would still be assigned to yet a 4th grader for verification to make sure the grade is accurate and consistent. The actual grading process itself consists of a few steps. The first is determining whether the coin is authentic. With the values of some coins today, counterfeits are not uncommon. Once the coin has been determined to be authentic, it is then checked for possible alterations. Once the graders have determined the coin to be authentic and unaltered, the final step in the process is to assign a grade to the coin in question. Graders are now focusing on the characteristics of the coin such as the strength and quality of toning, strike, marks, luster, and overall eye-appeal. All these characteristics are taken into account when assigning a grade. PCGS’s 1-70 grading scale, with 70 being best, is universally accepted throughout the industry. PCGS’s grading standards can be found on our website. We highly recommend that submitters become familiar with those standards because your improved knowledge may help increase your chances of attaining the grade you are hoping for. Once the grades have been assigned in the database, the PCGS labels are now generated and printed. By entering the order number into the system, our team can now print all of the crucial information for the PCGS label including the date, denomination, grade, variety if any, coin number, and the unique certification number mentioned earlier. Now that the PCGS labels have been printed, the sealing department is given the task of selecting the appropriate custom holders for each coin and then carefully placing the coin and PCGS label within the holder. Once the contents have been assembled, each coin is taken to the boom room where coins are sonically sealed in our tamper-evident holders. This sonic weld is strong and helps ensure this security feature on the PCGS holder. After the coins have been sealed in the PCGS holders, they are then sent to the Grading Verification stage. As mentioned earlier, this is where another grader will check the orders for accuracy and consistency in relation to PCGS standards. If any of the coins do not appear to meet the standards, the coin is then removed from the holder and re-evaluated. If the coins appear to meet PCGS guidelines then they move on to the next stage. Now we arrive at the final quality control checkpoint where the order is reunited with the original submission form and each coin is matched against the paperwork. Additionally, the coins and holders are examined for defects such as scratched cases or improper information on the PCGS label that may have been overlooked in prior stages. Upon completion, the grades are posted and an e-mail confirmation is sent to the customer with the grading results. We are now at the final stage in the PCGS process – the shipping department. Now PCGS’s shipping staff will count the coins within the order once again to ensure that the coin count and submission form matches the information in our system. Once this is completed, a staff member enters the shipping instructions into the computer, packages the order, prints a packing slip, and ships it back to the customer – who is eagerly awaiting their coins. Once the order is shipped from our facility, an e-mail is generated automatically to alert the customer that the order is on the way. That concludes our look at the PCGS grading process. We hope you enjoyed this inside look at the journey of a PCGS submission and, hopefully, this guide will help answer many commonly asked questions about our service. From all of us at PCGS; thanks for your continued support over the years. Your support has made us the preferred choice for collectors across the globe and the foundation of all great collections. 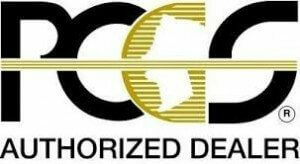 We are an authorized dealer for PCGS coins.